You Gotta Meet These Amazing Grandmas! September 9th, 2018 is National Grandparents Day in the US – a day to honor grandparents and to recognize the strength, knowledge, and value they add to our lives. 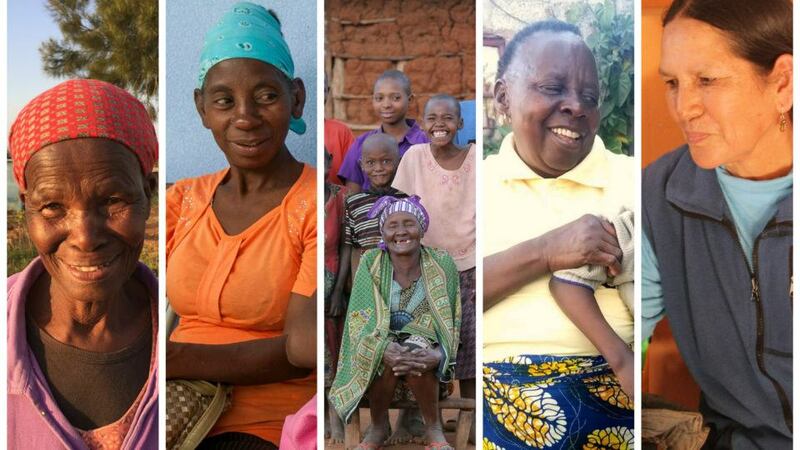 To help celebrate the day, we are sharing stories of grandmothers from around the world who really are truly rock stars. Their selfless care and compassion reminds us that we are never too old to make a difference. What Keeps Gogo Minah Going? Gogo (Granny) Minah Matsenjwa is a beautiful Swazi woman who takes pride in her home, her community, her faith, and most especially in her grandchildren. Gogo Minah had five children who she loved dearly. She made sure they went to school and never went hungry. Sadly, HIV/AIDS claimed the lives of two of her children and the other three left home in search of work. 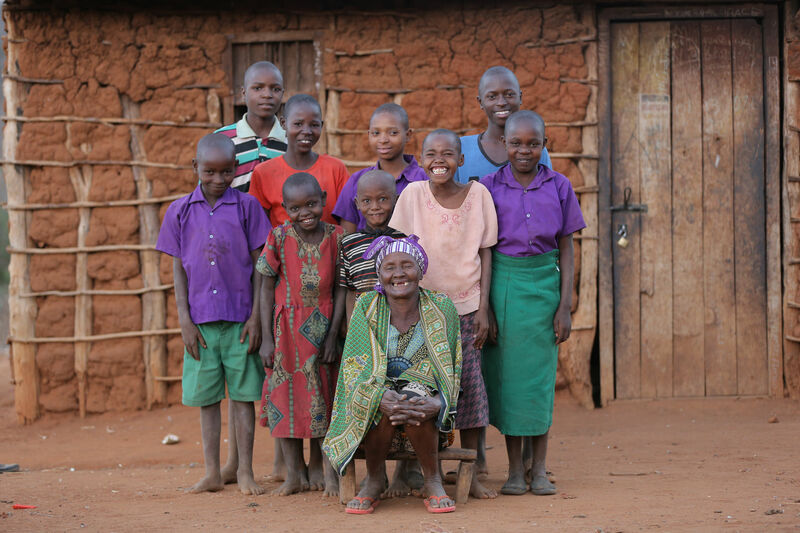 They left her with 17 grandchildren to care for–alone. Her husband had died years earlier. With no income and no social assistance, life was a constant struggle. But there were 17 children to care for so she did whatever she could. She worked in other people’s fields, asking for food as payment. She also plowed two plots of land near her home where she grew vegetables to make sure the children had more than just cornmeal to eat. Two of the grandchildren were HIV positive and as a result they were always sick. With so little, it was hard to get them the care they needed, but Gogo Minah took them to the hospital whenever she could. She didn’t really understand what was wrong. HIV was rarely spoken about and many Gogos who could not read or write thought the medications they were giving their grandchildren were vitamins. Despite not understanding what was making her grandchildren sick, Gogo Minah never stopped caring for them with all the love in her heart. Today, Gogo Minah continues to work from dawn to dusk caring, teaching, plowing, harvesting, feeding, and loving. She never complains about how difficult her situation is, but always shows so much appreciation and gratitude for any assistance that is offered, always thanking God for sending help. Several of the children are now grown and gone but she continues to care for 12 little ones. Her love and kindness are well-known in her community and poor relatives continue to leave children on her doorstep because they know she will do whatever she can to give them what they need. She is truly a super hero. Thank you, Gogo Minah for never losing faith. 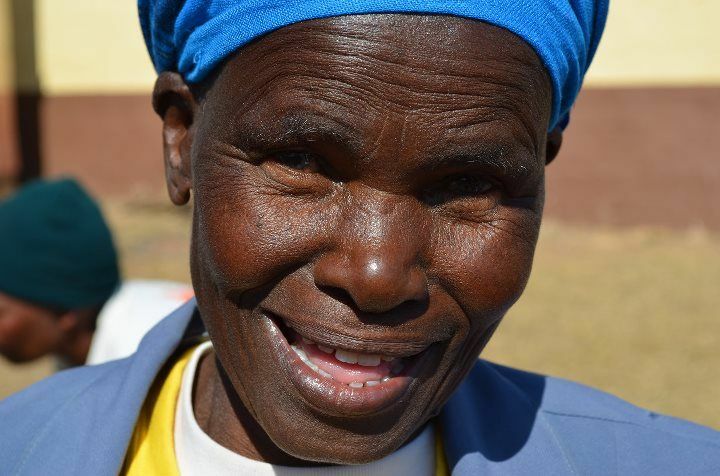 *This story was shared by Kathleen Hartmann, a registered nurse who has dedicated nearly two decades of her life serving the poorest and most forgotten people in Swaziland. 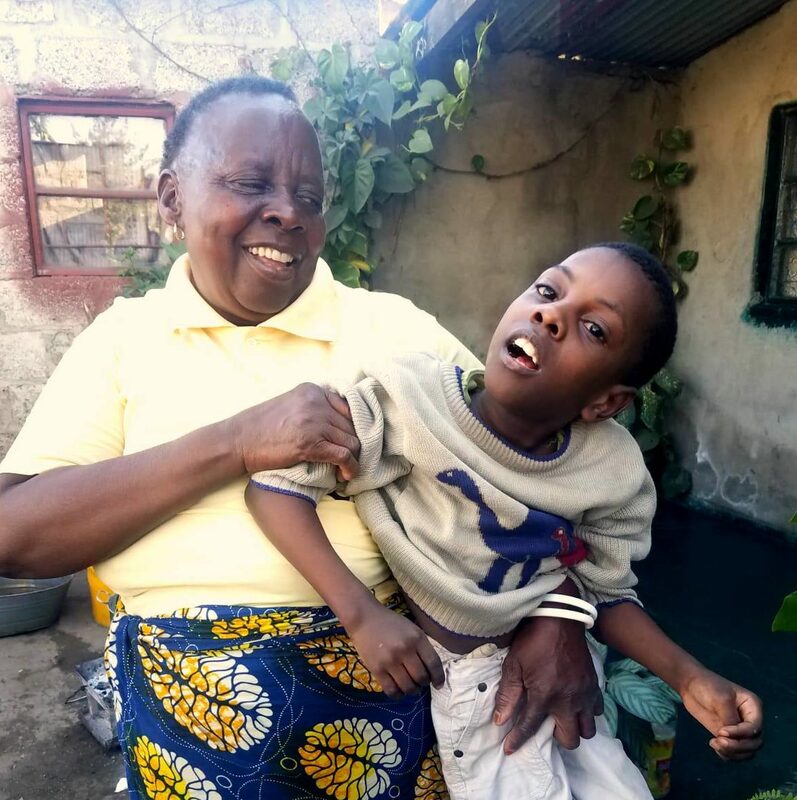 Among the most vulnerable are the Gogos – the grandmothers – who despite their poverty, physical ailments, and lack of resources, continue to do what they can to care for orphaned grandchildren. A community health worker had also explained that care for pregnant women and babies was free. 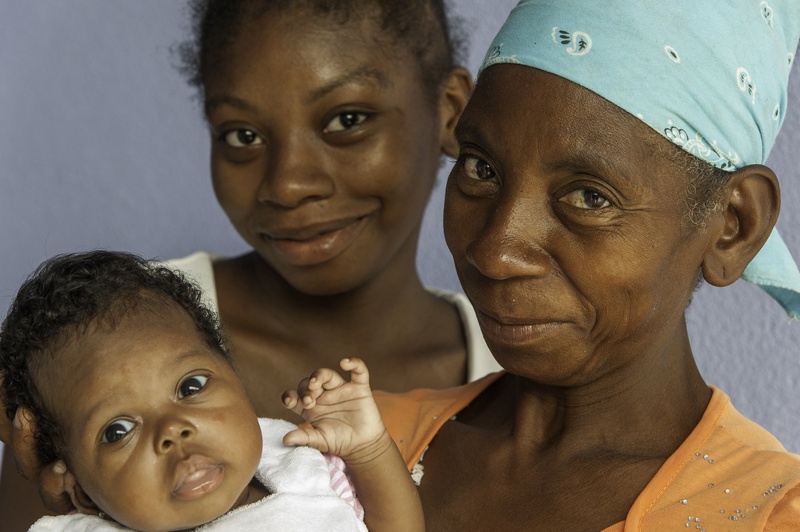 When Jeanne Louise arrived at the hospital she was already in labor, but after 24 hours without any progress, and with signs that the baby was in distress, medical director Dr. Laguerre knew Jeanne Louise needed a C-section. It would be the very first cesarean section performed at the new hospital. While Jeanne Louise says she was not afraid, her grandmother was shocked and frightened. Thank you, Grandma Anicia for always sharing your wisdom. 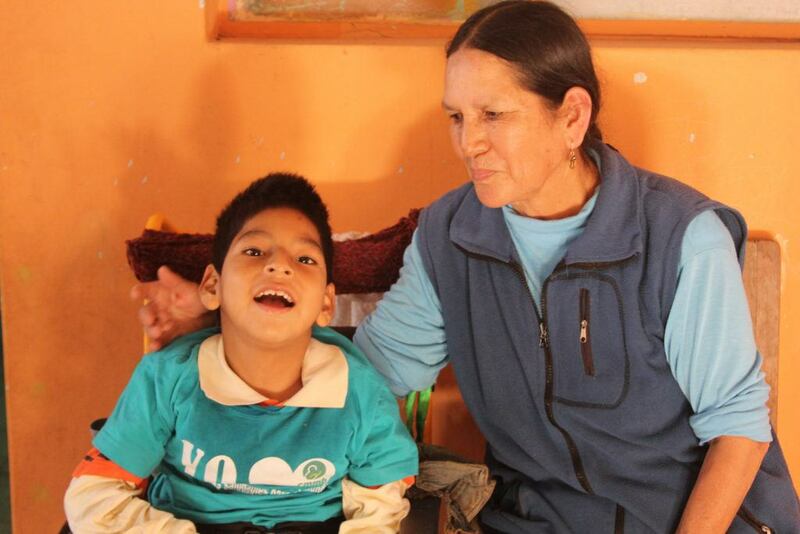 Maximinia is 62 years old and the primary caregiver for her daughter’s 12-year-old grandson, Philip, who has cerebral palsy. While mom continues to be involved in her son’s life, Philip’s dad rejected him. After he was born and the doctors said that he was sick and wouldn’t get better, Philip’s father was very angry. Overwhelmed by shame, he abandoned his wife and child, completely disappearing from their lives. Philip is full of love, but requires a great deal of care. Grandma Maximina does everything for Philip including feeding, dressing, and hygiene. When our team dropped in for a visit, they watched as she changed his diaper and fed him lunch. It is hard, physical work, but Grandma Maximina never stopped smiling or laughing. Philip has been blessed by his grandmother’s beautiful spirit and love since the day he was born. Their bond is a very special one. She is constantly showering him with love, giving him kisses and holding his hands. Philip responds to her affectionate interactions with pure joy. Whenever grandma speaks about Philip, his eyes light up and he smiles from ear to ear. It’s a beautiful thing to see, especially in a family burdened by stigma and the additional hardships of extreme poverty. “Our community didn’t understand Philip’s disability and there are so many harmful superstitions. Now people see how much love and care we give him and how Philip responds and they are amazed. I am so proud of Philip, and so they see him with new eyes. Sadly, loss is something Grandma Grace knows too well. She was the loving mother of three children, but tragically lost two. Their death left her with a broken heart and left ten children without parents. Grandma Grace, or Mama Grace as she is lovingly called, is now taking care of her 10 grandchildren. Mama Grace lives in a one room mud house. It is not big enough for all of her grandchildren to get a good night’s sleep. At night, some of the children sleep with her only remaining daughter-in-law, Ngina, who Mama Grace loves as her own daughter. Ngina and Mama Grace work as a team to support the children. Ngina spends her day finding any job she can to help support the family. Mama Grace spends her day watching over her grandchildren and keeping them out of trouble (as best she can of course). It is not always easy. There are days when Ngina cannot find work and there are days when Mama Grace feels tired. But they move forward. The strength, love, and compassion of Mama Grace is inspiring. Despite so much loss, she carries on her own children’s legacy by caring for and raising their children as best she can. In doing so, she hopes they will have more of a life than their parents were ever given a chance at – a life of education, health, and happiness. Grandma Angela has been at her grandson Jonel’s side ever since he was born. Jonel has cerebral palsy and his condition requires supervision, assistance, and support around the clock for the rest of his life. His mother used to be his primary caregiver, but could not handle the physical and emotional pressure. She was especially impacted by the stigma that children with disabilities have. One day she left for town, and never came home. Ever since then, Grandma Angela has been Philip’s primary caregiver. She does everything for him. Supporting him through every challenge and celebrating every achievement – no matter how small. And to our own grandparents, thank you. Thank you for your unconditional love, your willingness to forgive, and for making the world a kinder place. To those that are with us and to those that are not – thank you for touching our lives in the special way that only grandparents can.